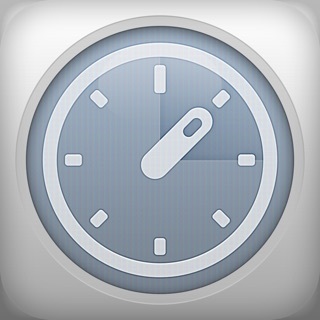 Speed up everyday tasks with simple shortcuts. It’s like speed dial for apps. Launch Center Pro saves you time by launching complex actions in a single tap. Message a loved one, search Yelp for the nearest coffee shop, jump straight to the camera in Instagram, all with just a flick of your thumb. Create shortcuts for email, Safari, Twitter, Facebook, phone or FaceTime calls, Google searches, and more. If you do it on your iPhone constantly, Launch Center Pro will make it easier and faster. Launch Center Pro now works with over 100k apps! Continued use of GPS running in the background can dramatically decrease battery life. Launch Center Pro is run in the background for just a few seconds when entering or leaving an iBeacon region or geofence. If you use iBeacons or geofences and are concerned about battery life, keep an eye on the new Battery Usage section of the Settings app. - At confirmation of purchase, or following the completion of a free-trial period, payment will be charged to your iTunes account. - Your subscription will automatically renew unless auto-renew is turned off at least 24-hours before the end of the current subscription period. - Your account will be charged for renewal within 24-hours prior to the end of the current subscription period. Automatic renewals will cost the same price you were originally charged for the subscription. - You can manage your subscriptions and turn off auto-renewal by going to your Account Settings on the App Store after purchase. - Any unused portion of a free trial period, if offered, will be forfeited when you purchase a subscription. If you like Launch Center Pro, please take a moment to leave a review, it really helps! If not, please send your feedback to launch@contrast.co or visit http://helpc.ontrast.co for help. Accesos directos a acciones en apps. A mi me gusta mucho como trabaja la aplicación. The numerical keyboard shows a dot instead of a comma for the decimals. It causes problems when passing that data because the system doesn’t understand it as decimal separator. Spanish system requieres comma for decimal separation. I have been using it for years, I can’t imagine my dock without Launch Center Pro in the middle of it. Requiere iOS 11.2 o posterior. Compatible con iPhone, iPad y iPod touch.